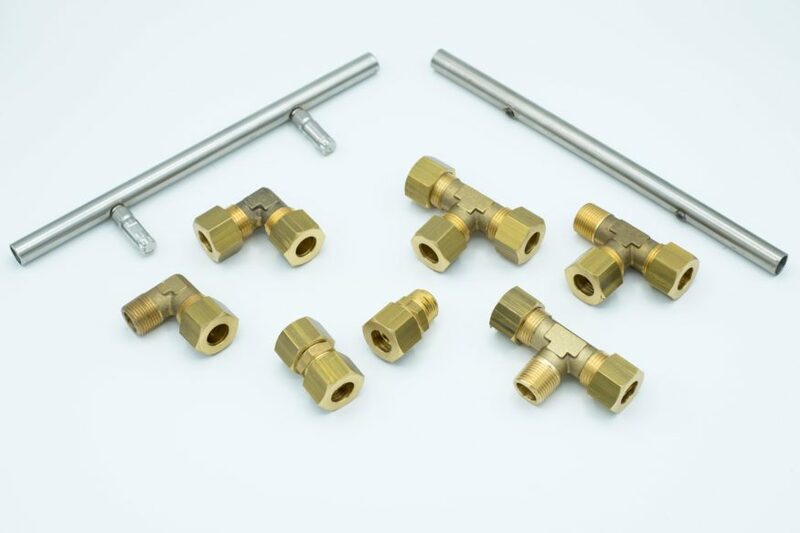 High and low-pressure solenoid valves: Brass or stainless steel body, 24V n/c with coil suitable for flow control, designed to provide a reliable service. 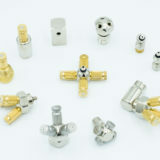 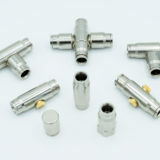 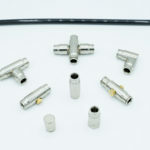 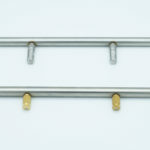 Quick brass or stainless steel couplings for installation of stainless steel pipes. 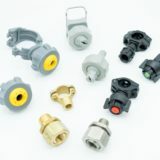 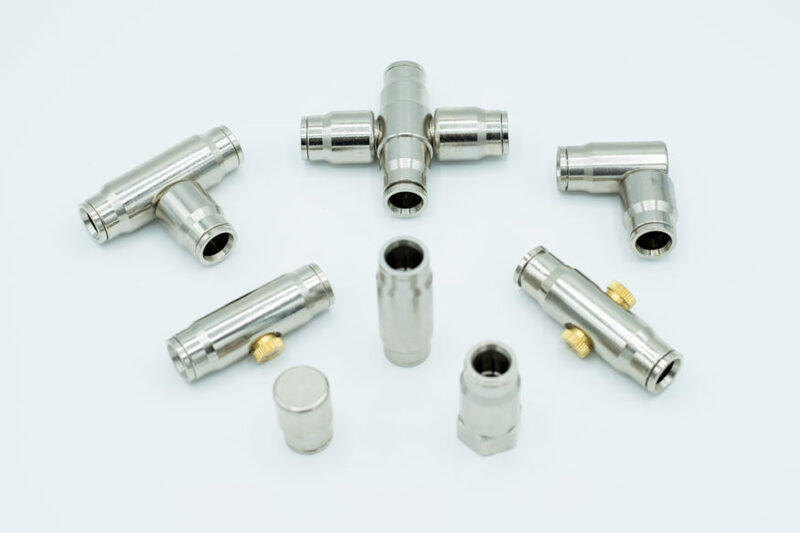 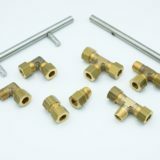 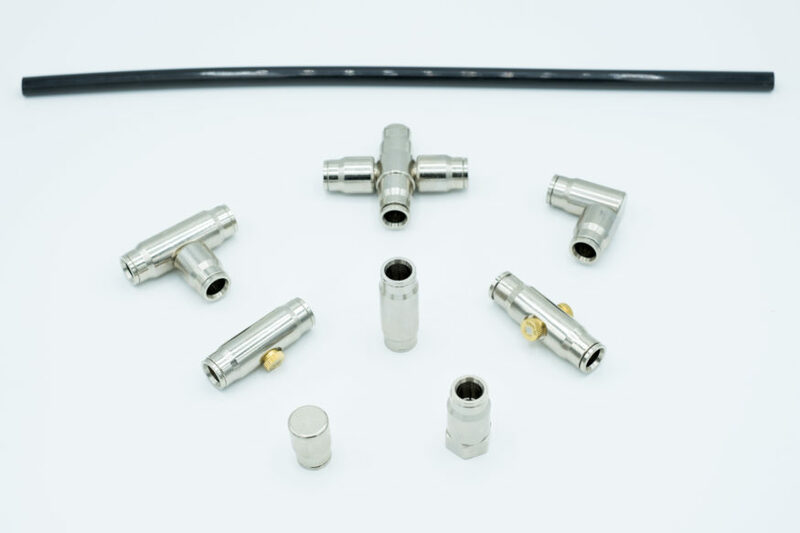 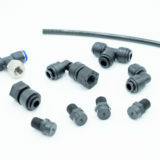 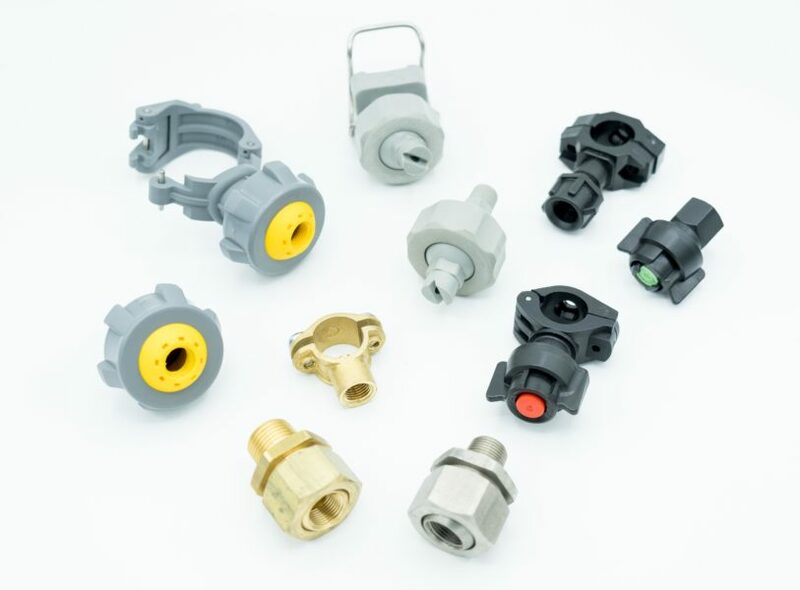 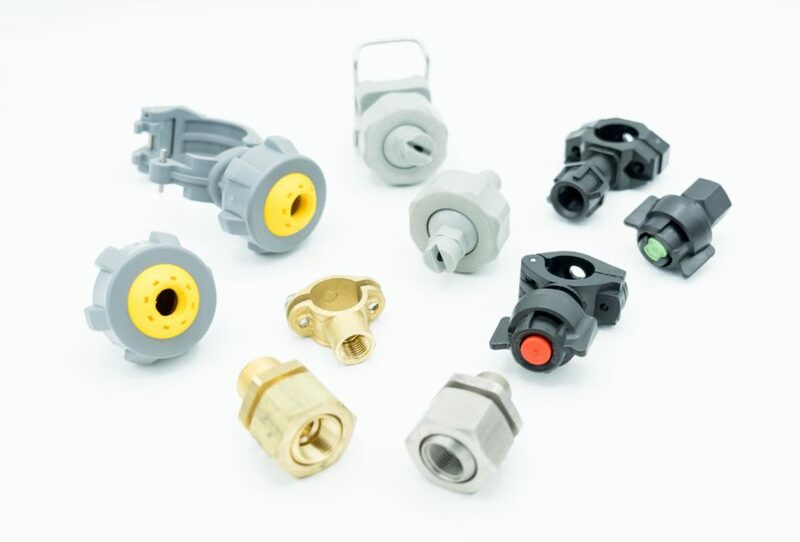 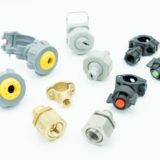 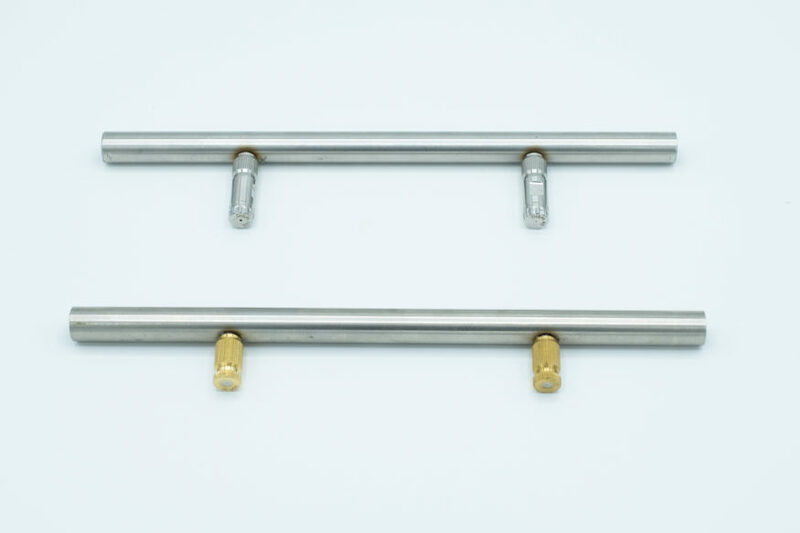 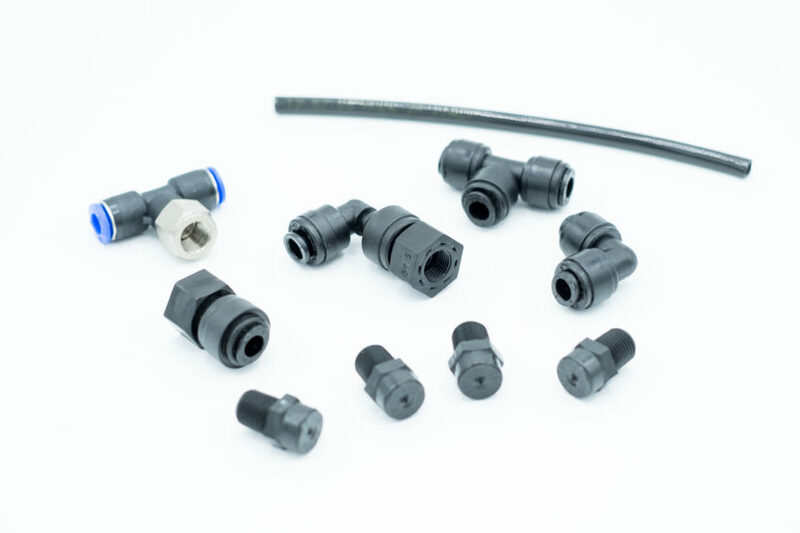 Clamps: For quick and easy installation of nozzles in pipe systems; can be supplied as fixed or adjustable fittings made of polypropylene, brass, or stainless steel. 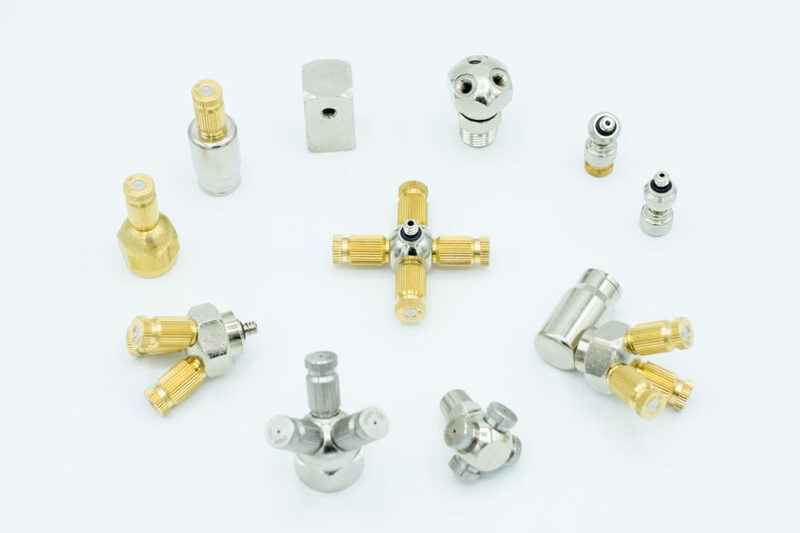 Exhaust valves: Brass units for easy line depressurization. 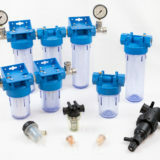 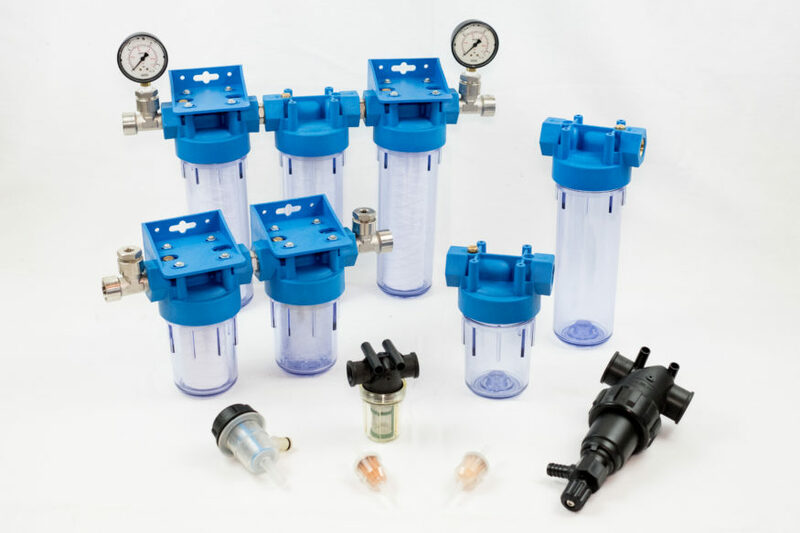 Pressure gauges: For pressure control with a stable needle reading; they can be supplied in various sizes for both low and high pressure units, with ABS or stainless steel body.